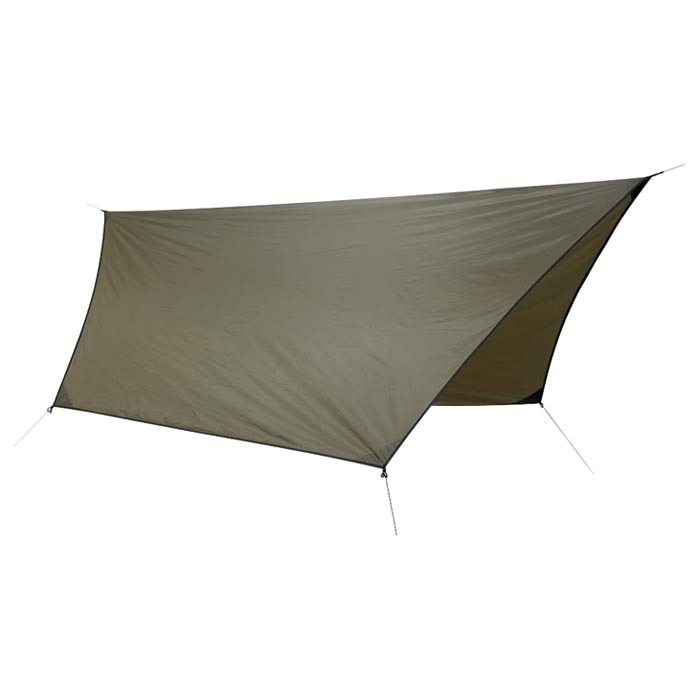 A double-wide, 10' x 12' PU-coated polyester tarp with 6 tie-out points for maximum flexibility in positioning. This fly is carefully detailed with factory seam sealing and pockets for stowing tie out cords. Because of the innovative hexagonal shape, the Hex Fly can be used with any hammock model from the Safari Deluxe to the Original. The hex fly can be pulled down all the way to the ground around the hammock for protection during storms or spread out to provide a great sunshade. It can also be pitched between two hammocks to provide a work or cooking marquee.